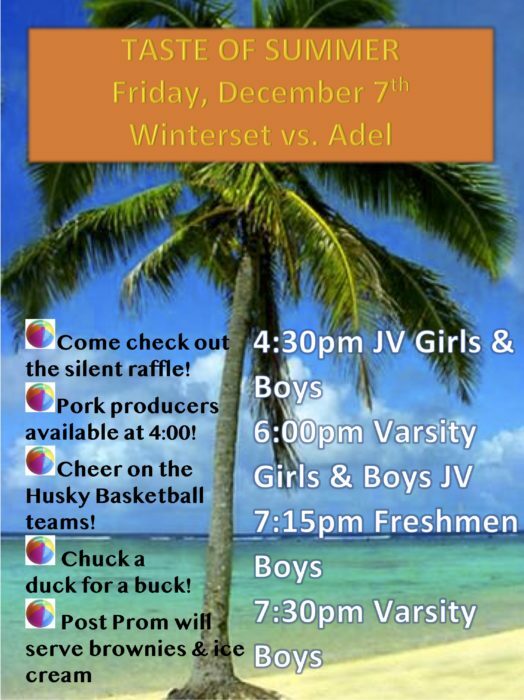 If you’re already tired of winter and in need of a little Taste of Summer, head to the high school tomorrow night to cheer on both boys and girls basketball teams. The pork producers and post-prom committee will be serving food and you’ll have some chances to come home with a prize, too. Take the kids out to the Pammel Park Nature Center on Saturday morning to create Christmas themed crafts from nature based materials. 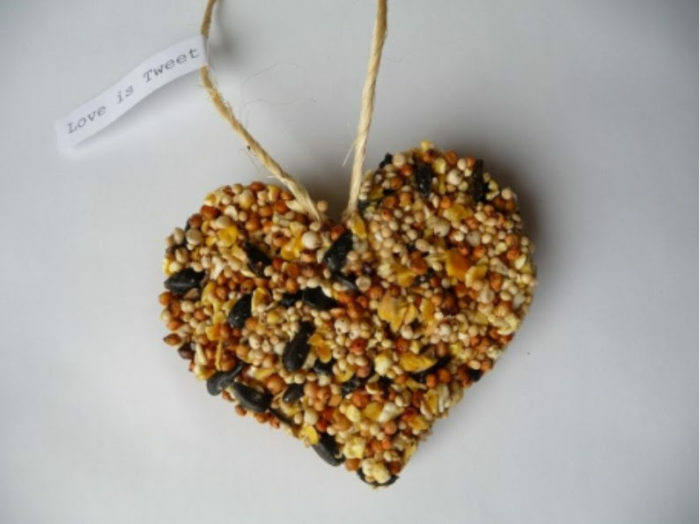 They can make holiday tree ornaments and bird seed ornaments to help our feathered friends through the cold winter season. This program is open to children of all ages from 2-102. Parents and grandparents are welcome to accompany their children and are encouraged to participate in the crafts. There is no cost for the craft program. Crafts will be available as supplies last. Walk-in participants are welcome however you may pre-register for the event online in order to reserve materials. If you have questions on how to register for the program, contact the conservation board office at 515-462-3536 or e-mail naturalist@madisoncountyparks.org. 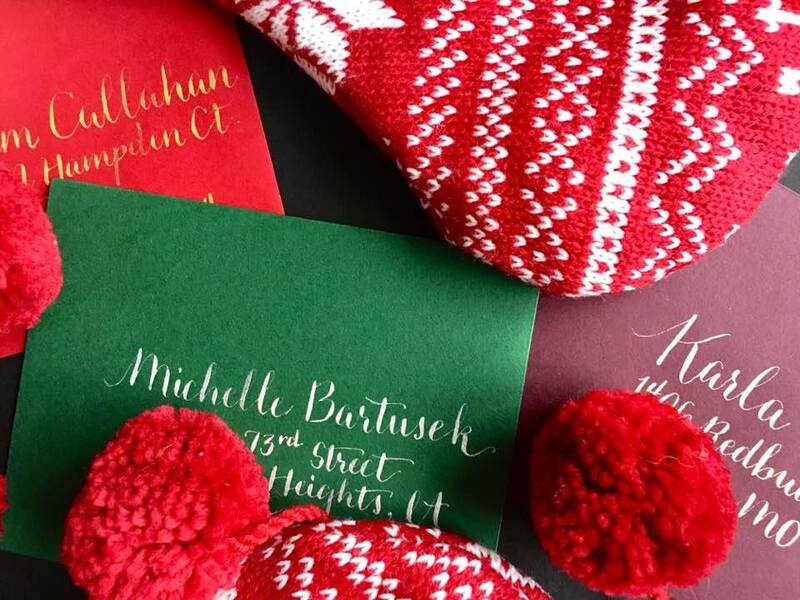 Spruce up your holiday cards this year with the help of Jess Lundquist of ink & flourish calligraphy. In this workshop, use dip pens and templates to create classically elegant cards to send to friends and family. You’ll take away: three cards handmade by you plus envelopes for each along with resources for purchasing your own dip pens, nibs, and ink. Recommended for ages 13 and up. Make up date (in case of severe weather): Saturday, December 15th, 10am-12pm. $30 for WAC members, $35 for non-members. Register online at THIS LINK. 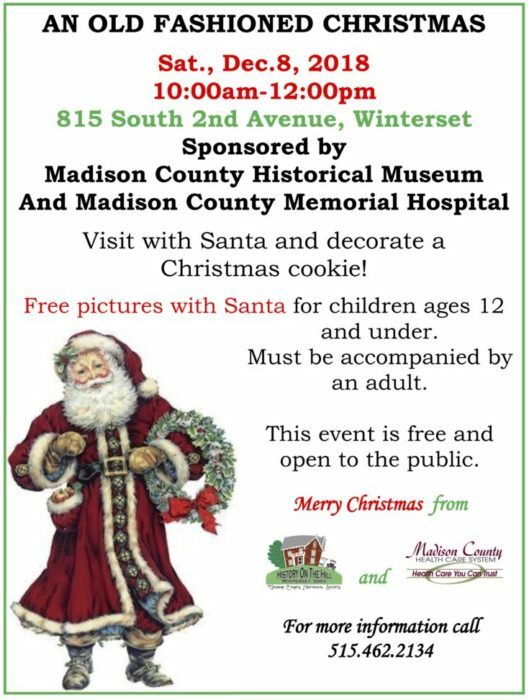 The Madison County Historical Complex is opening their doors for the annual Old Fashioned Christmas Celebration this Saturday. Visit with Santa, decorate a cookie, and enjoy a little time away from the hustle and bustle. 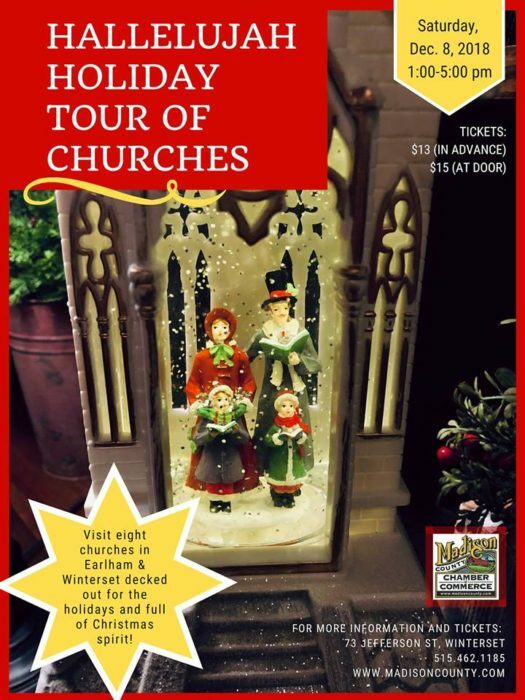 After the Old Fashioned Christmas Celebration, hop in the ol’ family car and tour some local churches all bedecked for the holiday season. You’ll need a ticket for this and you can get those at the Winterset Chamber of Commerce. 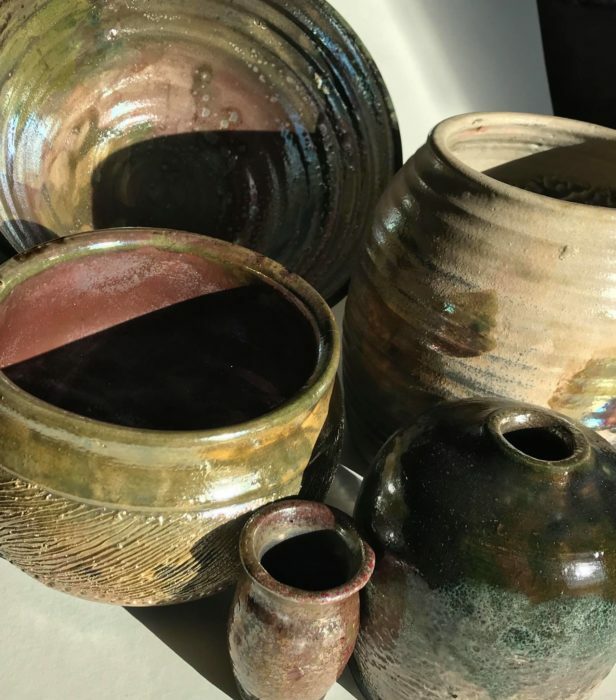 Join Bree Daggett to observe and participate in ceramic techniques. Try your hand at the pottery wheel, hand building, slab rolling and glazing. No experience necessary to create your own piece of unique art. For an additional $5 fee, participates will have the opportunity to select and glaze a mug to be fired and available by Christmas. Fee for WAC Member $31.50, Non-Member $35.00. Register in advance at THIS LINK. 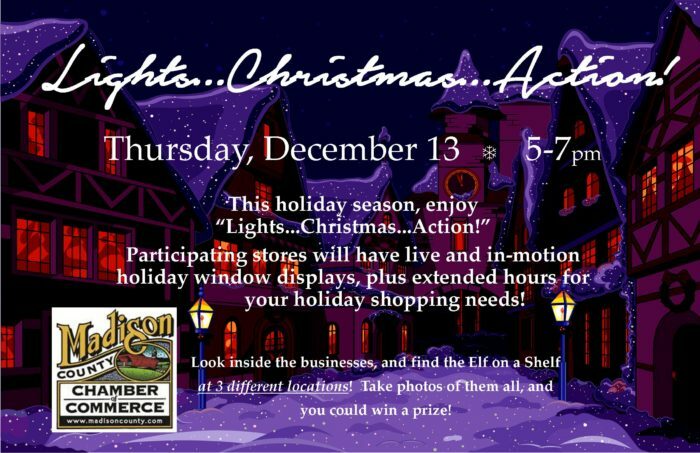 The Winterset Merchants Group invites you to enjoy “Lights…Christmas…Action!” where participating merchants will feature live or in-motion holiday displays in their store windows. Take this special opportunity to enjoy holiday shopping as merchants extend shopping hours, offer holiday treats and deals, and enjoy the creativity and cleverness of our local retailers! Look inside the businesses, and find the Elf on the Shelf at three different locations, take photos of them all, and you could win a prize! 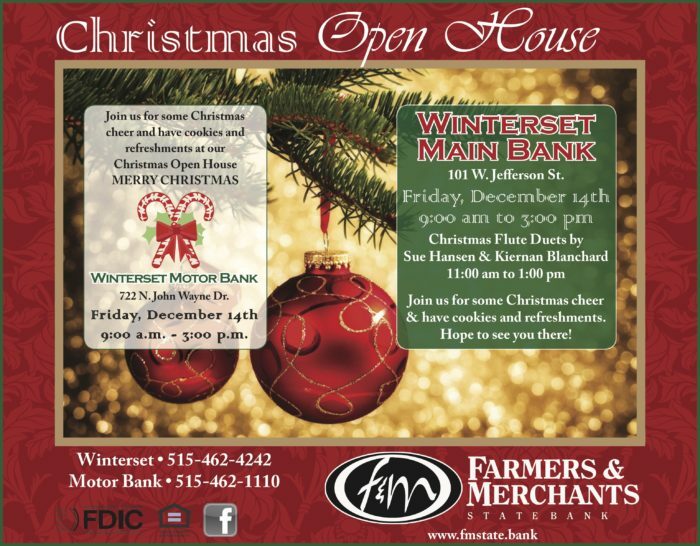 Farmers and Merchants State Bank invites you to celebrate the season at their holiday open house. Enjoy refreshments and Christmas cheer at both their main bank and motor bank. At the main bank, you can hear some holiday music, too! 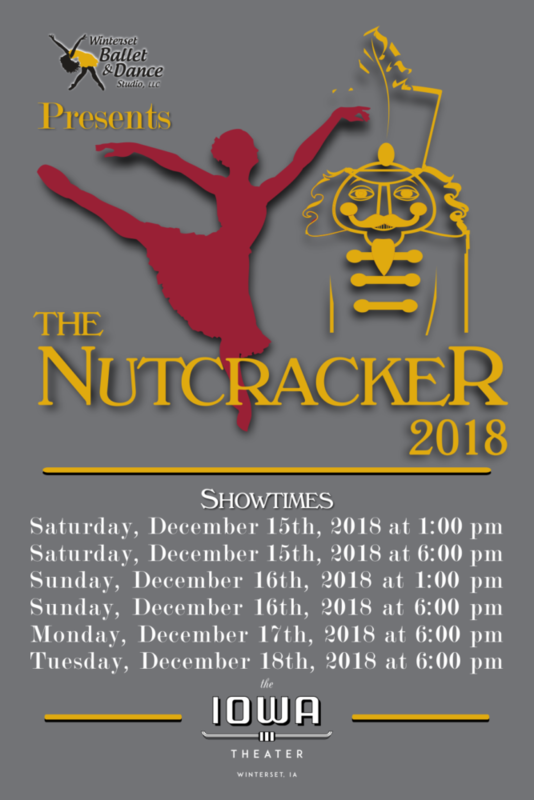 Winterset Ballet and Dance Studio is bringing us another production of the classic Christmas ballet, The Nutcracker. They’ve expanded to six performances this year; all at the Iowa Theater. 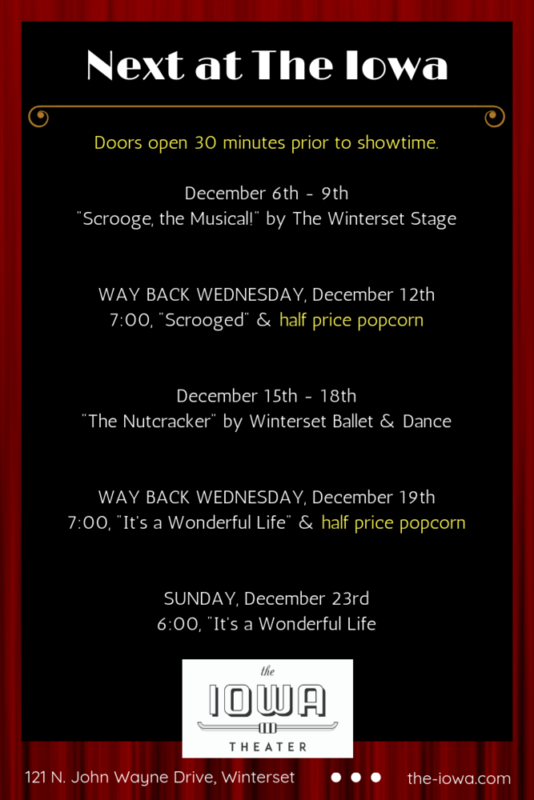 You can order your tickets to The Nutcracker in advance at THIS LINK.